Lightning Fast! 4/10/12 | Sorcerers Of The Magic Kingdom: The Blog! 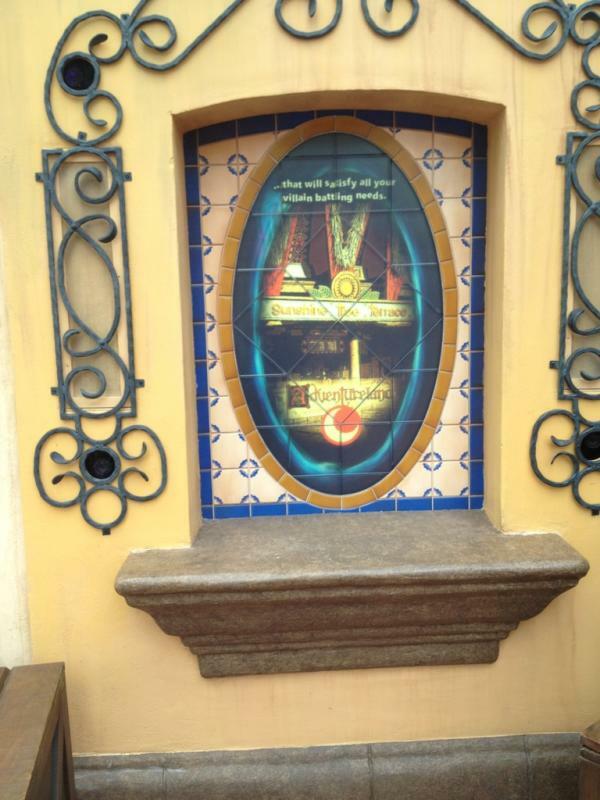 New portal screen for Sunshine Tree Terrace! Even with the crowds getting lighter SOTMK is still not allowing players to level up. According to CM’s I’ve spoken with it seems that the easy mode is here to stay for a little while longer. I was lucky enough to catch a manager who I’ve chatted with before and he told me “We were very pleased with the results of the time studies that were conducted recently.” Even though he was kind of enough to talk to me I was quite disappointed to hear that. Why you ask? Well if there’s no complaints from guests that they’re waiting too long and blah, blah, blah… They’re prone to keep it that way. CM’s are also saying they aren’t allowing anyone to level up because they are “making updates” & “fixing problems” on the medium and hard levels. Although the game is not much fun while playing at this level I will say it goes extremely fast when the crowds are light. Today I arrived in the late morning hours and was able to complete easy in roughly 2 hours & 45 minutes. Which is by far the fastest I’ve ever finished. Which led to me this idea. In the coming week, I have a few days in which I have absolutely nothing to do. I am thinking of picking one day and playing SOTMK for the ENTIRE DAY, rope drop til closing. I am curious as to how many times someone could complete the game in one day. I’m not exactly sure why I want to do this. Either way if anyone else has a day free and is feeling as crazy as I am drop me a line on twitter or send me an email. This entry was posted in News/Rumors and tagged disney, hints for sorcerers of the magic kingdom, sorcerers of magic kingdom strategy, Sorcerers of the Magic Kingdom, sorcerers of the magic kingdom card combos, sorcerers of the magic kingdom combos, SOTMK, spell cards, Walt Disney World, WDW by sotmkblog. Bookmark the permalink.